Introducing the Sprue Cutters Union! Welcome to the Sprue Cutters Union! I have been blogging for some time now and have been following the works of other bloggers and social media pages for an equal amount of time. I am constantly impressed by the quality and quantity of work that can be found online. So much so that I decided to create an avenue by which fellow modelers convene to share their work, thoughts, and musings about the hobby thereby generating traffic for themselves and blogger counterparts. This idea was not without its inspiration, however. If you've been following my blog long enough, then you'll know that on occasion I have been known to participate in the League of Extraordinary Bloggers run by Brian from Cool and Collected. That site is dedicated to fans and collectors of pop culture items like toys and other bits of nostalgia. I decided to apply the same concept to my blog only with a focus on scale modeling, but I'll pretty much be following the same format just for the sake of simplicity. Plus, it works, I've seen it. So what is it exactly? Technically its called a "blog carnival". A blog carnival is a way to collect links pointing to different blog articles cover the same particular topic. Essentially, it is a place where bloggers can share their works with other like-minded individuals - in this case, scale modelers. How does this work? This, of course, only works with a little organization and a lot of enthusiastic participation. The organization is simple. Once a month, preferably sometime within the first week, I will name a topic specific to the hobby (on most occasions but I don't see why we can't venture away every now and then). For example, if I say the subject is the Me-109G than any blogger who wants to participate can write an article to fit the subject - in this case, Me-109G's. Aside from the article having to meet the specified topic, the blogger is then required to have the article posted on their site by the end of the same month. Once that is accomplished, just post the link in the comments section of that month's topic. I will make a post containing all of that month's entries with links to all the blogs that participated. Then, of course, the next topic will be announced and the cycle will continue. I did mention this is only as good as the enthusiastic participation. This means YOU! I require that all contributing blogs include links to all, or at least three, of the other participating sites. To make things simple, you can take the list of links that will be posted by The Combat Workshop after the month's assignment is complete, or take the links from the comment section from that month's topic. This will generate traffic for every one which is why a lot of participation is nice. After all, isn't the point of having a blog to have people actually read it? At the end of the day every one benefits. It should increase traffic to your site and will hopefully add some new readers to your following. But remember, this should be fun! I look forward to see how a lot of different modelers respond to the same subject. So what do you say? Are you in? All it takes is a passion for modeling and a blog to write about it. 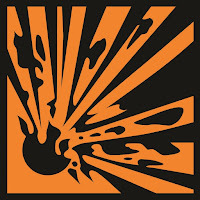 Feel free to save the logo above and use it in your post or upload it to your blog. Absolutely! Glad to have you! Just wait for this week's topic to be posted and then answer away! I`ve been following this extrordinary idea, and i`ll like also to be a part of it! Hi Pedro! If you have a blog you're more than join! Hey Jon, love the idea! I would like to join too if possible. Outstanding! Do you have a blog? That's all you need to join. Every Monday the topic is posted and just have your blog response in by Sunday and you're good to go! Be glad to have you, Sven! Splendid Idea. I've just rejuvinated my modeling blog, and will enjoy participating. Great! Welcome to the Union! Look forward to more of your posts! I've joined..anything else I need to do? Ah, welcome! Glad to have you! All that is required is that you copy the links of at least 3 of the other participating blogs for that week in your post some where. This way, when some one reads your post, they can link to a similar response on another blog and so on. Thus, generating readership for everyone involved! When we write responses to the question, we just post the link in the comment section of the original topic so that all the bloggers can grab them. Hope your week away from the bench didn't cause you to go too nutty. With the missus away for the weekend I felt like I finally had some real time to get my 'glue on'. Hey great post, but make sure that you copy the link to your response in that week's topic post so that the other bloggers can pick it up. I'd really like to join but I don't get to post too terribly often. Is that a problem? Happy 2015 and great to see Sprue Cutters Union back! howdy...i thought i commented here, but apparently i didn't hit the right button. i'd like to join...can i participate via my youtube channel? I would like to join. I love the concept and its a great way to motivate myself to write more. To scale modelers, the ordnance world can be complex, confusing and when it comes to assembly, tedious. If your WIPs tend to grind to a halt once it comes time to build the weapons you may rest assured that you are not the only one. Bombs and missiles do not get the attention they deserve and are over shadowed (literally if they're hanging from the wings) by the overall subject. Granted, it is much simpler to slap a coat of olive drab on a little bomb, paint a sloppy yellow ring around the nose and call it done, especially if you have half a dozen or more to assemble. But I have seen plenty of otherwise decent models fall short (at least in my eyes) because not enough attention was paid to the weapons it was carrying. 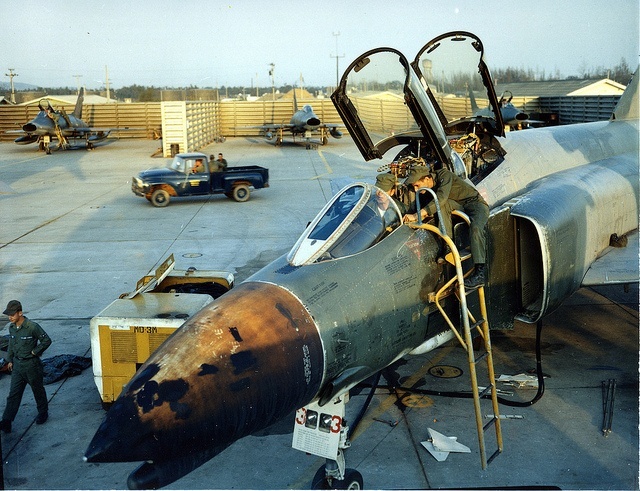 The F-4 Phantom is an iconic aircraft, earning its renown not only through its unique aerodynamic properties but also through its distinguished service with the United States military and the air wings of eleven other countries. Despite its appearance which earned it such nicknames as "Double Ugly", "Rhino", and the "Flying Anvil", the Phantom smashed world records and soared into the hearts of admirers, proving that with enough thrust any thing can fly. The F-4 remains a popular subject in scale modeling. Even I, the guy who struggles to complete anything lately, have finished Hasegawa's F-4E in 1/48. Though I painted mine in the two tone gray Hill scheme, the pattern that I think suits the Phantom best is SEA camouflage. 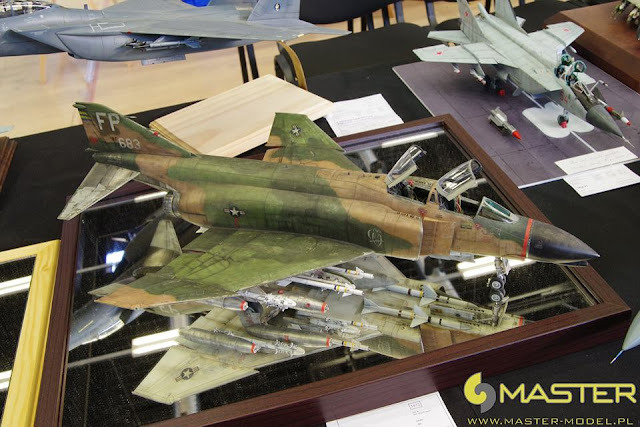 Indeed, it is hard to separate the F-4 from the Vietnam war so its natural to see the majority of scale models of them built to depict the various green and brown MiG killers of the era.